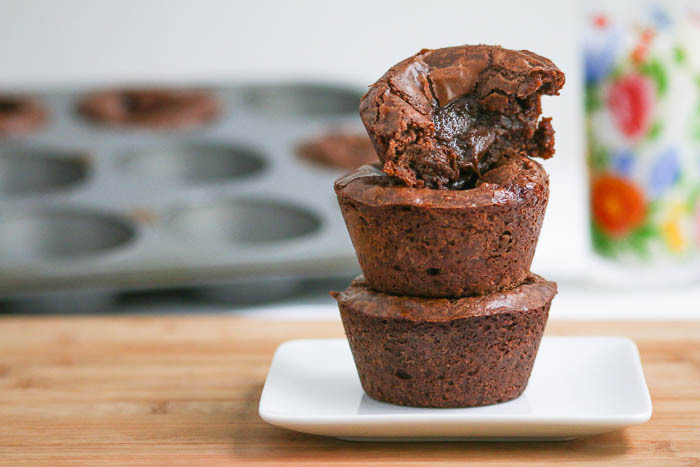 It’s time for some cups: Gooey Chocolate Peanut Butter Marshmallow Brownie Cups. 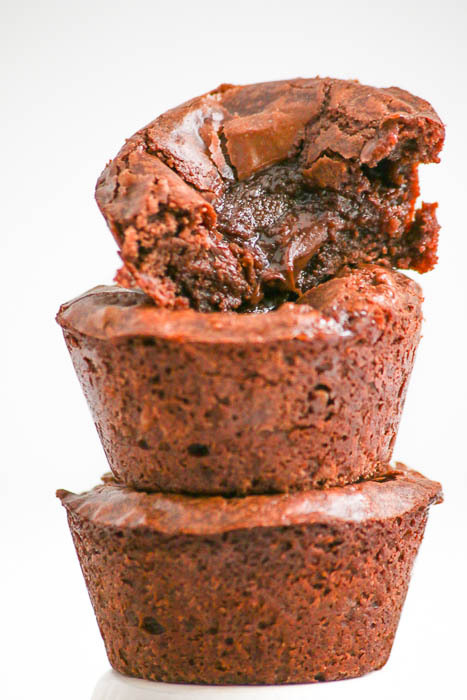 Gooey Chocolate Peanut Butter Marshmallow Brownie Cups are just what they sound like: a mouthful of heavenly goodness! Rather than using peanut butter and marshmallow inside these Gooey Brownie Cups, I went with a chocolate/peanut butter spread. There are many brands out there; choose your favorite one. Or, if chocolate/peanut butter spread is not your thing, substitute peanut butter. I was curious to see if I would have a marshmallow explosion similar to Marshmallow Monstrosity Cups. Fortunately, I learned that placing the marshmallows underneath the spread prevents them from bursting out completely. Best part of all is the gooey, gooey, chocolatey dripping center. As good as they are cold, when warm the filling just sends me over the edge of happiness. Can’t wait for you to try them, too. It is personal preference that will determine which chocolate peanut butter spread should be used. There are many different kinds on the market. I have found that the more natural the ingredients, the less sweet your cups will be. 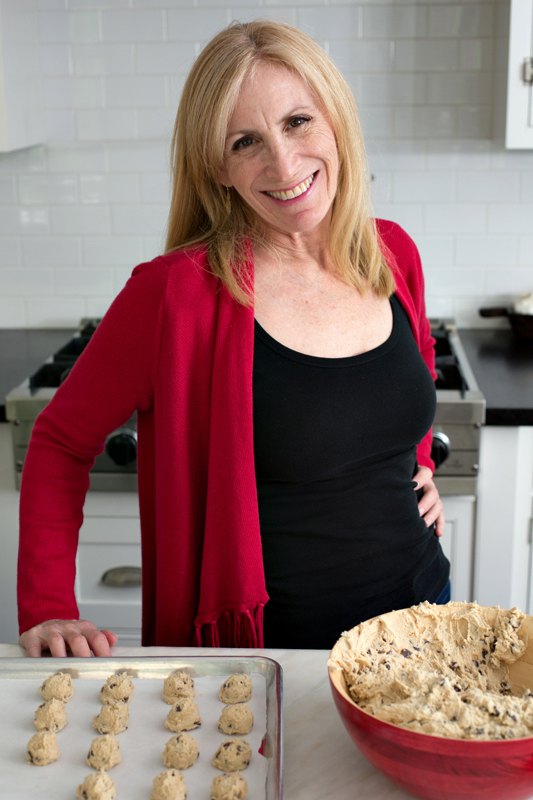 Lastly, use a wooden spoon to mix in the chocolate chips. Place 8 mini marshmallows in each cup, away from the edge of the pan. Scoop 1 rounded teaspoon of chocolate peanut butter spread onto the marshmallows. Top with the remaining batter. Remove and cool completely in the pan. Use a small metal spatula to go around the edges of the Gooey Chocolate Peanut Butter Marshmallow Brownie Cups. You made my day! Thank you so much. I greatly appreciate your feedback. After all, you are the cake guru! 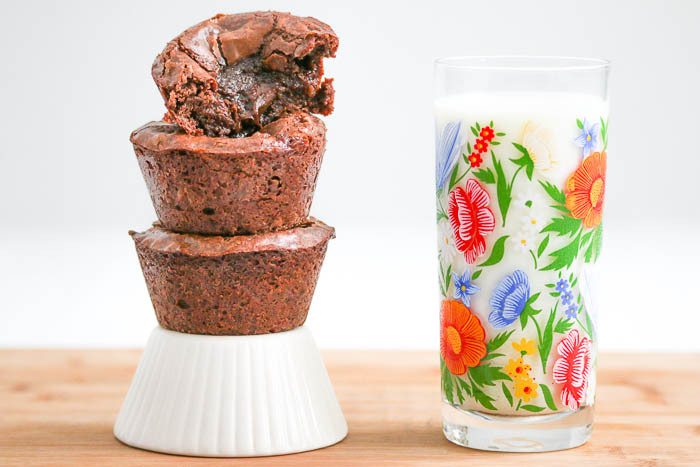 Your photos suggest three gooey chocolate peanut butter marshmallow brownie cups as a serving. Sounds good to me! Especially with that tall glass of milk! CRACKING UP, Lydia! I think three cups per serving with one glass of milk is perfect! Wow! They look delicious. My son would love these! Thanks for sharing. So happy to read this. Thank you and I hope your son loves them. You crack me up. I have the same thought! 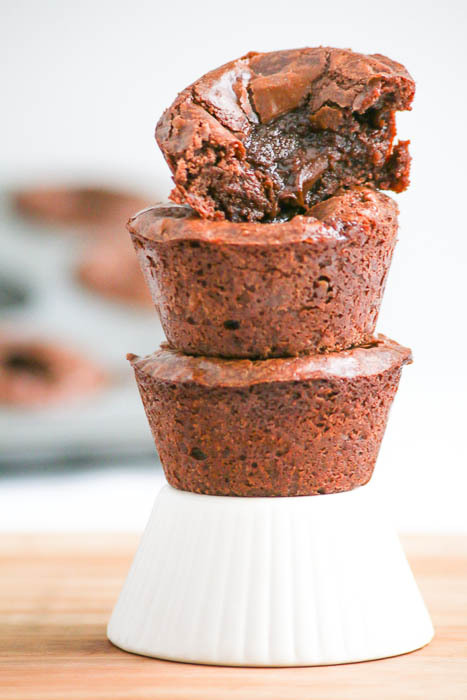 OMG, these brownie cups are having my name written all over them! Wow, they look too delicious! Ooooooh man do these look incredible. Clearly the tall glass of milk is not optional. Love these can’t wait to try! Sounds delicious! I’m allergic to peanut butter but sunflower seed butter can normally be used in it’s place, I’m sure it would be amazing! That sunflower seed butter sounds terrific. Please let me know how they turn out with the substitution. Chocolate and peanut butter is one of my favorite combinations, these looks amazing, I’d love a couple right now! Thanks so much. A couple is the perfect amount…to start with!